Della Rocca G, Madrigal J, Marchi E, Michelozzi M, Moya B, Danti R (2017). Relevance of terpenoids on flammability of Mediterranean species: an experimental approach at a low radiant heat flux. iForest 10: 766-775. One of the major factors influencing forest fuel combustion are terpenoids, a fraction of flammable Biogenic Volatile Organic Compounds (BVOCs) produced and stored by most Mediterranean species. The qualitative and quantitative effect of terpenoids on flammability has been only partially explained. In this study several major terpenoid-storing Mediterranean species (common cypress and three pines) were considered and compared to Holm oak as a reference non-storing species. The terpenoids were quantified via gas chromatography (GC-MS) analysis from both live fine fuel (LFF) and litter samples, and the relations between flammability and the terpenoids content were investigated by categories (Monoterpenoids, oxygenated Monoterpenoids, Sesquiterpenoids). The effect of fuel moisture content and species on ignition probability of LFF was also explored. A very different ignition probability was observed at the same fuel moisture content for the different species (Pinus spp. > C. sempervirens > Q. ilex). The stored terpenoids explained 19% to 50% of the whole flammability of both LFF and litter. Fuel moisture content (FMC) did not substantially change the relative effect of terpenoids on flammability, except in C. sempervirens. Monoterpenoids do not seem to significantly affect flammability, while sesquiterpenoids greatly influenced most flammability components, though their relative effect varied among species. A relation between storing structure of terpenoids and flammability was suggested. The results of this study indicate that isoprenoids should be included in physical models of the prediction and propagation of wildfire in Mediterranean vegetation as significant factors in driving flammability. Implications of foliar terpene content and hydration on leaf flammability of Quercus ilex and Pinus halepensis. Plant Biology 10: 123-128. Influence of water and terpenoids on flammability in some dominant Mediterranean species. International Journal of Wildland Fire 17: 274-286. Current status and future needs of the BehavePlus Fire Modeling System. International Journal of Wildland Fire 23: 21-33. Seasonal variations in energy sources and biosynthesis of terpenoids in maritime pine. In: “Mechanisms of Woody Plant Defenses Against Insects” (Mattson WJ, Levieux J, Bernard-Degan C eds). Springer, New York, USA, pp. 93-116. The transformation of percentages for use in the analysis of variance. Ohio Journal of Science 38: 9-12. Ultrastructure of foliar secretory cavity in Cupressus arizonica var. glabra (Sudw.) Little (Cupressaceae). Biocell 23: 19-28. Fire in forestry. Vol I. Forest fire behaviour and effects. John Wiley and Sons, New York, USA, pp. 450. Investigation on the emission of volatile organic compounds from heated vegetation and their potential to cause an eruptive forest fire. Combustion Science Technology 181: 1273-1288. Flammability limits of biogenic volatile organic compounds emitted by fire-heated vegetation (Rosmarinus officinalis) and their potential link with accelerating forest fires in canyons: a Froude-scaling approach. Journal of Fire Science 32: 459-479. Biogenic volatile organic compound emissions from vegetation fires. Plant, Cell and Environment 37: 1810-1825. Pinus pinea emissions and combustion characteristics of limonene potentially involved in accelerating forest fire. International Journal of Thermal Sciences 57: 92-97. Assessing crown fire potential in coniferous forests of western North America: a critique of current approaches and recent simulation studies. International Journal of Wildland Fire 19: 377-398. The influence of leaf water content and terpenoids on flammability of some Mediterranean woody species. International Journal of Wildland Fire 18: 203-212. Possible land management uses of common cypress to reduce wildfire. Initiation risk: a laboratory study. Journal of Environmental Management 159: 68-77. Flammability assessment of Mediterranean forest fuels. Fire Technology 37: 143-152. Characterizing potential wildland fire fuel in live vegetation in the Mediterranean region. Annals of Forest Science 74: 1. Plant flammability experiments offer limited insight into vegetation-fire dynamics interactions. New Phytologist 194: 606-609. Characteristics and controls of extremely large wildfires in the western Mediterranean Basin. Journal of Geophysical Research: Biogeosciences 121 (8): 2141-2157. Role of buoyant flame dynamics in wildfire spread. Proceedings of the National Academy of Sciences USA 112: 9833-9838. Flammability of some ornamental species in wildland-urban interfaces in South-eastern France: laboratory assessment at particle level. Environmental Management 52: 467-480. Role of moisture in the flammability of natural fuels in the laboratory. Australian Forest Research 8: 199-208. A goodness-of-fit test for the multiple logistic regression model. Communications in Statistics-Theory and Methods 9 (10): 1043-1069. HS-SPME analysis of volatile organic compounds of coniferous needle litter. Atmospheric Environment 37: 4645-4650. Deciphering the language of plant communication: volatile chemotypes of sagebrush. New Phytologist 204: 380-385. Testing vegetation flammability: the problem of extremely low ignition frequency and overall flammability score. Journal of Combustion: 1-10. Studying wildfire using FIRETEC. International Journal of Wildland Fire 11: 1-14. Ignition characteristics of forest species in relation to thermal analysis data. Thermochimica Acta 390 (1): 83-91. A method for measuring the relative particle fire hazard properties of forest species. Thermochimica Acta 437: 150-157. Seasonal patterns of terpenoid content and emission from seven Mediterranean woody species in field conditions. American Journal of Botany 87: 133-140. 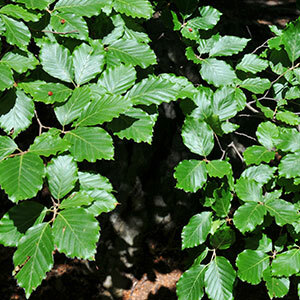 Different sources of reduced carbon contribute to form three classes of terpenoid emitted by Quercus ilex L. leaves. Proceedings of the National Academy of Sciences USA 93: 9966-9969. Mineral composition and ash content of six major energy crops. Biomass and Bioenergy 32: 216-223. Genetic component of flammability variation in a Mediterranean shrub. Molecular Ecology 23: 1213-1223. Energetic study of residual forest biomass using calorimetry and thermal analysis. Journal of Thermal Analysis and Calorimetry 80 (2): 457-464. The relationship between terpenoids and flammability of leaf litter. Forest Ecology and Management 257: 471-482. Thermodynamic data of known volatile organic compounds (VOCs) in Rosmarinus officinalis: implications for forest fire modelling. Computational and Theoretical Chemistry 1073: 27-33. Seasonal patterns of plant flammability and monoterpenoid content in Juniperus ashei. Journal of Chemical Ecology 24: 2115-2129. Secondary compounds enhance flammability in a Mediterranean plant. Oecologia 180 (1): 103-110. Flammability as a biological concept. New Phytologist 194: 610-613. Preliminary studies on litter flammability in Mediterranean region. Forest Ecology and Management 234: S128-S128. Experimental measurements during combustion of moist individual foliage samples. International Journal of Wildland Fire 19: 153-162. Interaction of pre-attack and induced monoterpenoid concentrations in host conifer defense against bark beetle-fungal complexes. Oecologia 102: 285-295. Safety and awareness of people involved in forest fires suppression. In: Proceedings of IV International Conference on Forest Fire Research 2002 Wildland Fire Safety Summit “Forest Fire Research and Wildland Fire Safety” (Viegas DX ed). Luso (Coimbra, Portugal) 18-23 Nov 2002. Millpress Science Publishers, Rotterdam, Netherlands, pp. 1. A mathematical model for predicting fire spread in wildland fuels. Research Paper INT-115, USDA Forest Service, Ogden, UT, USA, pp. 40. Flammability properties of British heathland and moorland vegetation: models for predicting fire ignition. Journal of Environmental Management 139: 88-96. Regulation of oleoresinosis in grand fir (Abies grandis). Plant Physiology 116: 1497-1504. EUFIRELAB Euro-Mediterranean Wildland Fire Laboratory, a wall-less laboratory for wildland fire sciences and technologies in the Euro-Mediterranean region. In: Proceedings of the “4th Wildfire International Conference”. Seville (Spain) 13-17 May 2007. Organismo Autónomo de Parques Nacionales, Madrid, Spain, pp. 18, ST4. Conditions for the start and spread of crown fire. Canadian Journal of Forest Research 7: 23-34. The flammability of forest and woodland litter: a synthesis. Current Forestry Reports 1: 91-99. Eruptive behaviour of forest fires. Fire Technology 47: 303-320. Use of the cone calorimeter to detect seasonal differences in selected combustion characteristics of ornamental vegetation. International Journal of Wildland Fire 14: 321-338. Fire spread in chaparral - a comparison of laboratory data and model predictions in burning live fuels. International Journal of Wildland Fire 25: 980-994. Monoterpenes: their effect on ecosystem nutrient cycling. Journal of chemical ecology 20: 1381-1406. Testing and classification of individual plants for fire behaviour: plant selection for the wildland-urban interface. International Journal of Wildland Fire 19: 213-227.